Season Fourteen and Fifteen DVD, Curious Cargo is to be transferred for audiences Down Under. The new version of the 2012 disc will instead of holding four stories, will contain a mix of six. Two episodes from the UK's Pop Goes Thomas title join Australia's home video product. The extension is to also be increased by placing an extra three episodes from another Hit Entertainment property, Mike the Knight. 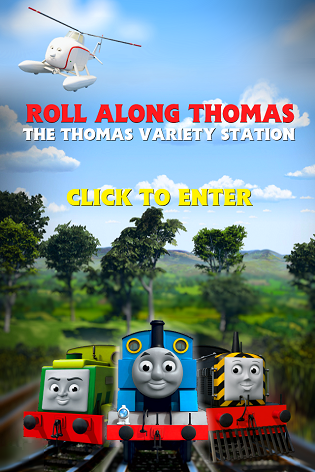 The summary reads; All aboard for a wild ride on the Island of Sodor as Thomas and his engine friends deliver some Curious Cargo - from giraffes and cows to birds and bunnies and more! Thomas meets a tall challenge while taking a giraffe to the Sodor Wildlife Center, Percy learns to be gentle with the animals of Sodor, and Belle and Toby discover the importance of listening to others. Curious Cargo hits Australian DVD shelves on November 7th 2012. Thanks to Jim522 for the alert.